Battery technology is looking brighter (and more futuristic) than ever as researchers at MIT recently announced they have successfully engineered viruses to build both the positively and negatively charged ends of a lithium-ion battery. These virus-built batteries can be created cheaply using an environmentally benign process, tout the same energy capacity as state-of-the-art rechargeable batteries, and may one day be used to power everything from personal electronic devices to hybrid vehicles. This isn’t the plot of the latest ‘B’ movie, although you would be forgiven for thinking so. 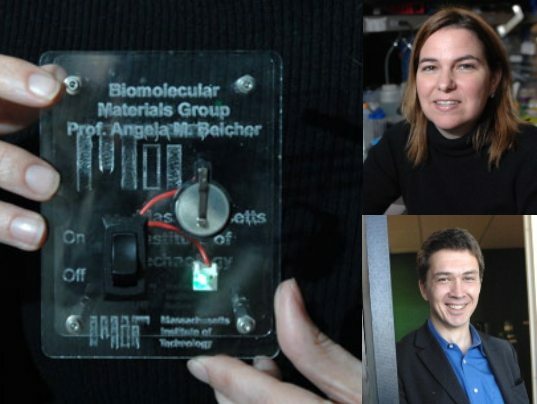 The research team led by Angela Belcher, were able to create both a cathode and an anode. These are the key components in a battery that allow the movement of electrons across the electrolyte, thus generating power. Before you get worried about turbocharged super-bugs, rest assured that the viruses used will be common bacteriophages, which are harmless to humans (or so one hopes). The researchers hope to eventually create a full-sized car battery. It’ll be a while though, as their current prototype is roughly the size of a coin and can only be used around 100 times. On the bright side, it uses no harmful chemicals, and is quite friendly from an environmental point of view. @doran "Does this really differ significantly from a potato battery which is grown from soil organisms?" Yes, massively!! The fact that potato can be used to create a battery is a consequence of the phosphoric acid (H3PO4) in the potato reacting with the electrodes. The soil organisms play no part whatsoever. 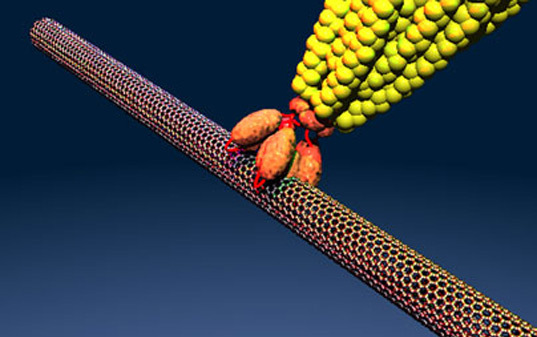 This virus battery uses genetically engineered viruses and carbon nanotubes, the fact is here is that the viruses themselves form a vital part of the conduction process. Reading the MIT article might give you more insight. Does this really differ significantly from a potato battery which is grown from soil organisms?